Because the ocean belongs to everyone – and to no one – too many have taken too much. Centuries of overuse and neglect threaten to leave us with a vast blue desert. It is time to change the way we see the ocean – from a place where we take what we want and dump what we don’t, to a shared resource of immense value. WWF is working to generate a new wave of support for sustainable seas. We will show leaders how a healthy ocean fosters economic development. We will celebrate and scale up the work of coastal and fishing communities to protect the resources they depend on. And we’ll give everyone the opportunity to speak out for our blue planet. Join us. 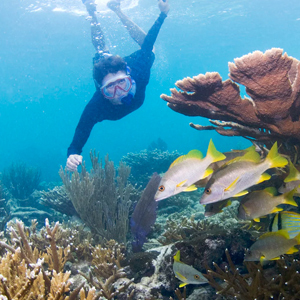 With their jewel hues and dazzling diversity of shapes and sizes, coral reefs are natural eye candy. And that’s beauty with a purpose: Worldwide, reefs provide livelihoods, food and tourism estimated to be worth nearly a trillion dollars each year. 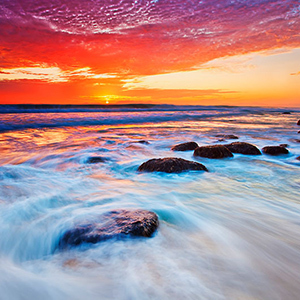 The ocean has been a source of food for tens of thousands of years. 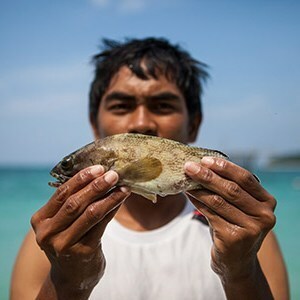 Today, fisheries are an important source of protein for billions of people. Covering 71% of the Earth’s surface, the ocean includes a wondrous array of habitats and species – from tiny plankton to the largest creature on Earth, the blue whale. And it’s all connected. When links in the food chain are broken anywhere, the system is weakened everywhere. The ocean freely provides products and services worth at least $2.5 trillion a year. 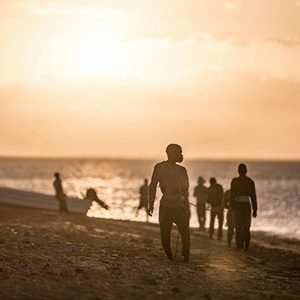 Fisheries support more than 260 million jobs – 50 million of which are small-scale or subsistence in places where other work could be very hard to find. Roughly half the world's population lives within 100 kilometres of the sea, and three-quarters of all large cities are located on the coast. 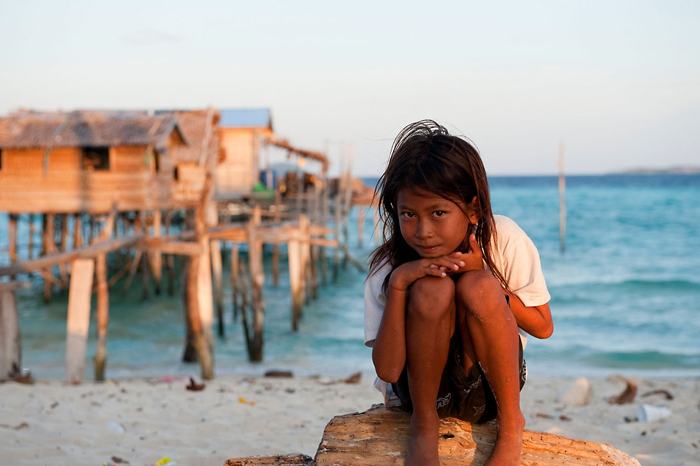 But damage done to reefs and mangroves in the name of development puts those communities and cities at risk. People destroy fragile marine habitats in multiple ways, from small scale to large. Whether it’s harmful fishing gear or pollution from inland farms and cities, such destruction is the result of putting short-term gain over our long-term well-being. The story of the ocean is a tragedy of the commons. Individuals – whether people, companies or nations – have put their own interests above those of their neighbour. Strong governance at all levels, from local tradition to international treaty, is needed urgently. As the atmosphere has warmed, so has the ocean. This can affect the way nutrients move through the water, disrupt weather patterns and increase storm intensity. 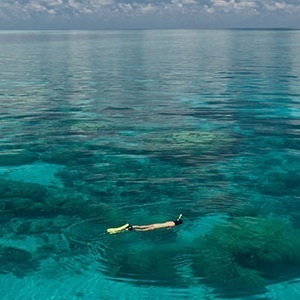 The ocean has also absorbed about 30% of the carbon dioxide humans have added to the atmosphere, making it more acidic. 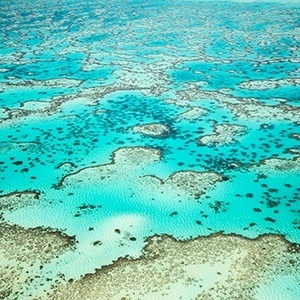 This spells trouble for coral reefs, the ocean’s most diverse ecosystem. With 90% of fish stocks fully exploited or significantly depleted, we must act fast to ease the pressure. Yet the opposite seems to be happening. 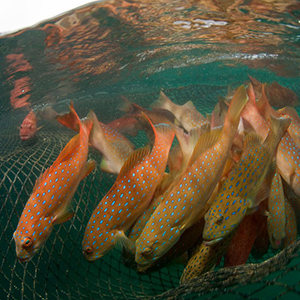 Faced with the collapse of high-value fisheries, the industry is moving down the food chain and into more remote areas. Poor policies and perverse subsidies support these destructive activities. Coastal areas are the most densely populated on Earth. Whether for permanent residents or tourists, coastal development too often means destruction of mangroves, seagrass meadows and coral reefs. Ironically, the loss of this natural infrastructure makes coasts more vulnerable to erosion and storm damage, and diminishes what attracts people to these areas in the first place. If we restore the balance, the ocean can contribute to food security, livelihoods, a healthy climate and more. The solutions exist — now it’s time for action. The Mediterranean Sea is today one of the seas with the highest levels of plastic pollution in the world. Europe alone is the second largest plastics producer in the world after China. Annually, it dumps tonnes of macroplastics and microplastics in the sea. Large plastic pieces wound, strangle and often kill animals, including endangered species, such as sea turtles. But it is the microplastics that reach record levels in the Mediterranean Sea. By entering the food chain, these fragments threaten a greater number of animal species as well as human health. 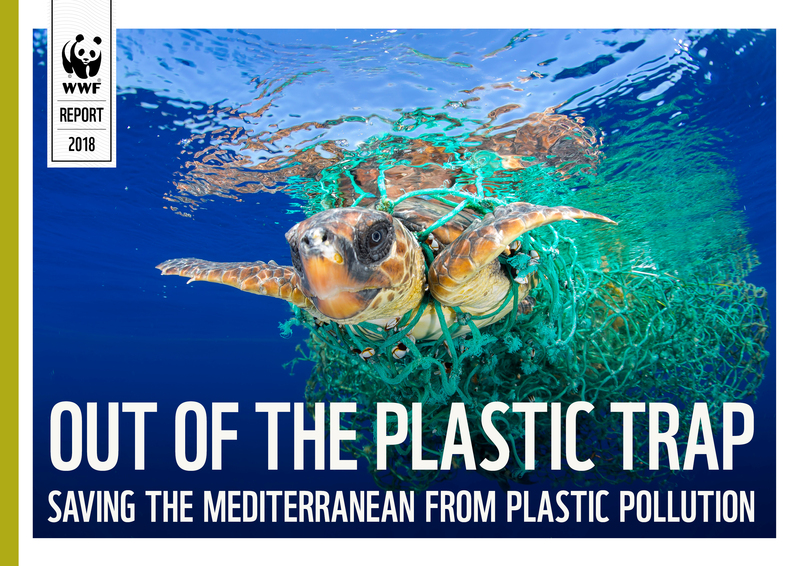 WWF report proposes a series of recommendations for actions that institutions, businesses and individuals can take to create a plastic-free Mediterranean and significantly reduce plastic pollution in urban, coastal and marine environments. 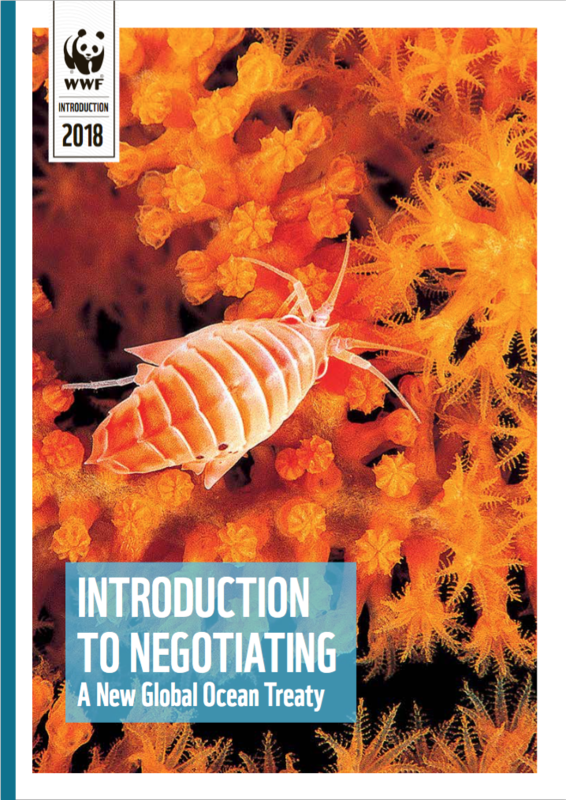 An opportunity to grant 45% of the planet stronger regulations and a holistic ocean governance framework within which marine spatial planning, environmental impact assessments and high seas MPAs can be achieved. 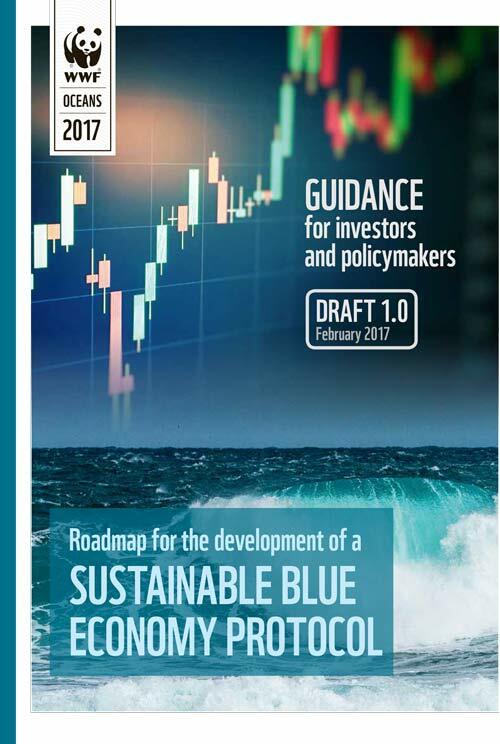 The Sustainable Blue Economy Finance principles have been developed through a broad consultation led by the European Commission, WWF, the Prince of Wales’s International Sustainability Unit and the European Investment Bank. 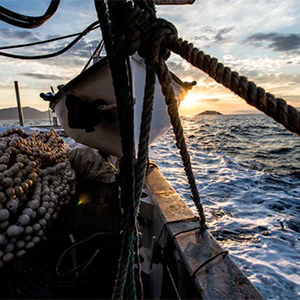 If widely adopted, these principles could help transform the way in which we continue to consume the ocean’s fast dwindling resources; showing how profitability can go hand-in-hand with environmental and social stewardship. 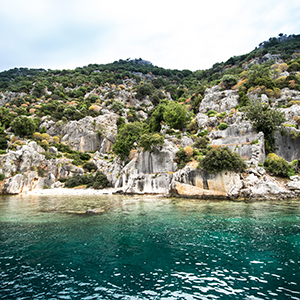 The Mediterranean is one of the most highly-valued seas in the world, with a vast set of biodiverse coastal and marine ecosystems that deliver enormous benefits for its inhabitants and the regional economy. It features unique natural seascapes that have contributed to making it a global favourite for tourists. However, its marine and coastal environment has been declining rapidly for decades due to intensive coastal development, poorly-planned tourism, unsustainable fishing practices and pollution. 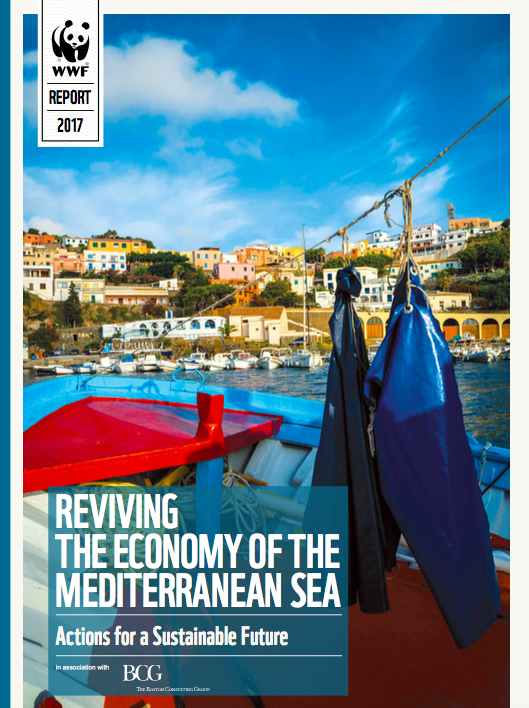 This report, produced in collaboration with the Boston Consulting Group, illustrates the economic value of the Mediterranean Sea that directly draws on healthy ocean ecosystems. It proposes a set of recommendations to promote a sustainable Blue Economy and to urgently preserve the Mediterranean’s invaluable natural assets. 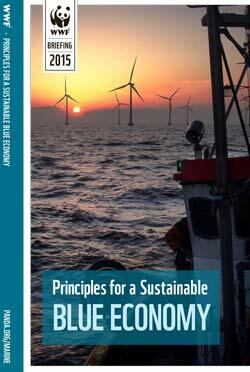 “Blue Economy” or “Blue Growth” has surged into common policy usage all over the world but there has not been a widely-accepted definition of the concept. 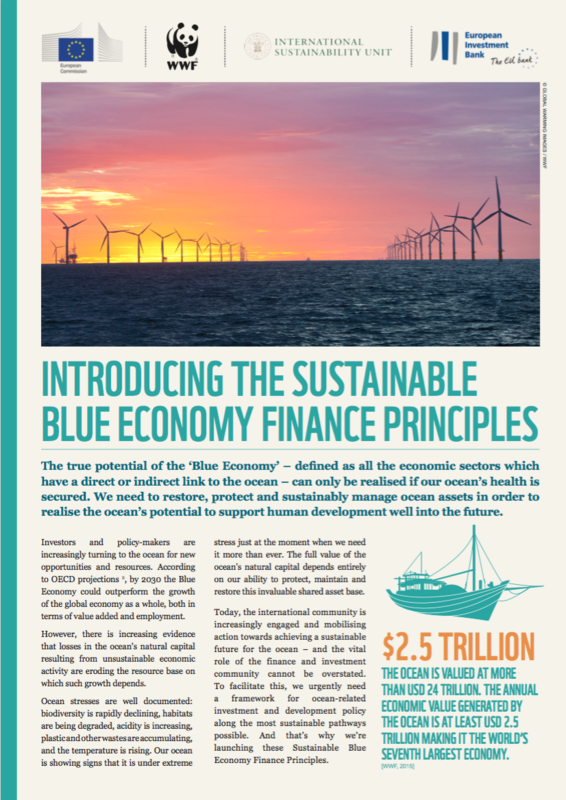 To fill this gap and to cultivate a shared understanding about what characterizes a sustainable blue economy, WWF consulted widely and developed a set of “Principles for a Sustainable Blue Economy.” The Principles offer a clear definition; guidance on governance; and a set of necessary actions for a sustainable blue economy is to be realized. 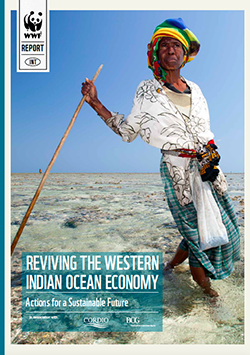 The Western Indian Ocean region ranks as one of the world’s richest and most biodiverse ocean areas. Coral reefs, mangroves, salt marshes, seagrass beds, as well as pelagic and deep-sea habitats generate high biodiversity and productive waters which in turn support economies and livelihoods. The importance of the ocean to the people of the region cannot be overstated: over a quarter of the population, some 60 million people, lives within 100km of the shoreline. The region is now at a crossroads as leaders face crucial decisions. This report details the values of the ocean assets, the growing threats they face and the priority actions needed to provide a more certain and sustainable future for its people. Melanesia is a major part of the Pacific and its people have relied on the ocean for millennia but as human impacts build, locally and globally, can the ocean sustain this growing region? 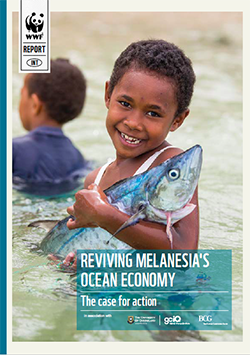 This report finds that Melanesia’s ocean economy is one of the main economic drivers in the region and describes the major role the ocean plays in providing food, livelihoods and well-being. 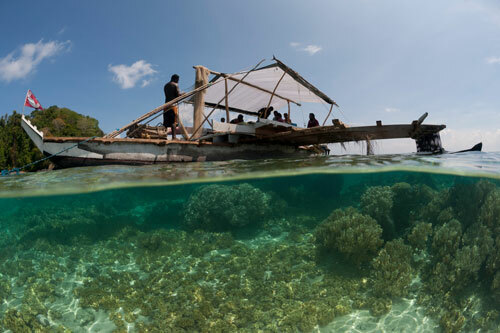 As multiple pressures combine to threaten the ocean assets that deliver so much for the region, the report outlines clear steps for Melanesia to urgently translate commitments into scaled-up action to achieve a sustainable and inclusive blue economy and a healthy future. The value of the ocean’s riches rivals the size of the world’s leading economies, but its resources are rapidly eroding. 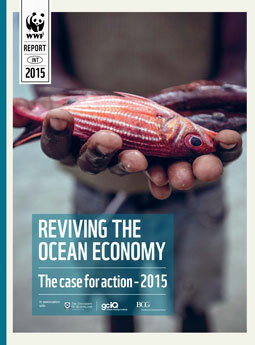 Reviving the Ocean Economy: The case for action – 2015, analyses the ocean’s role as an economic powerhouse and outlines the threats that are moving it toward collapse. But it is not too late to reverse the troubling trends and ensure a healthy ocean that benefits people, business and nature. This report presents an eight-point action plan that would restore ocean resources to their full potential. 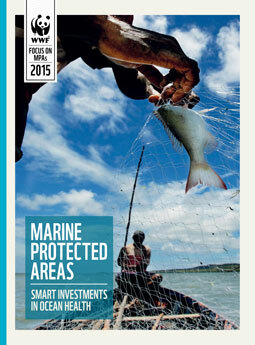 Human lives depend on marine ecosystems that are healthy, resilient and productive. Marine protected areas (MPAs) are an essential tool in the recovery and protection of our ocean and the vital services it provides. This report provides the most accurate picture of the state of the ocean--and the results are not good. We have lost half the fish populations that we rely on in less than half a century. 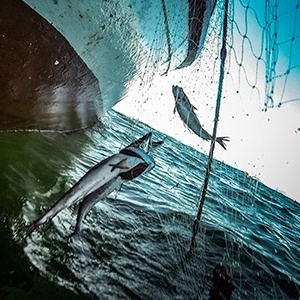 The findings spell trouble for all nations, but will especially impact people in the developing world who rely on seafood for their daily diets and economic livelihoods. In 2015, the governments of the world came together and agreed at the United Nations to the historic ‘2030 Agenda for Sustainable Development’. This comprises 17 goals that together will help set the world on a sustainable course for people and the planet. The Ocean is one of the foundational parts of this agenda and has been dedicated its own sustainable development goal: SDG14. 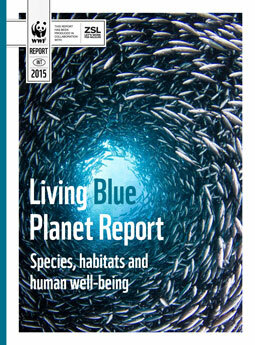 This reflects the growing understanding that human wellbeing and economic prosperity rely heavily on a healthy ocean. 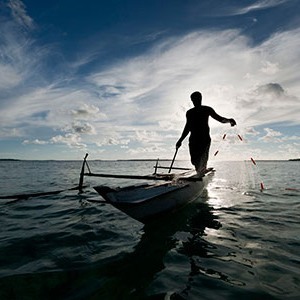 Without healthy oceans, we cannot achieve food security, sustainable livelihoods, or poverty reduction, as well as other essential components of long-term sustainability. WWF is working with partners to show how ocean conservation can make a real contribution to a positive future for the planet through SDG14 and related goals. Learn more about our planet's ocean. Without a healthy ocean there can be no life on Earth as we know it. Share with your friends and communities. Please use #BluePanda to spread the word. Your donation to WWF will help fund all our conservation efforts, including our marine work.